Each year, events, festivals and performances held at the Dead Sea draw thousands of visitors from all across Israel. These include the annual EinGedi Race that attracts runners from Israel and abroad; the Date Festival that has become one of the most popular festivals in Israel; and of course the Masada Opera, a monumental event that draws incoming tourism and European and Israel culture-lovers to an enthralling performance at the foot of the majestic Masada Mountain. 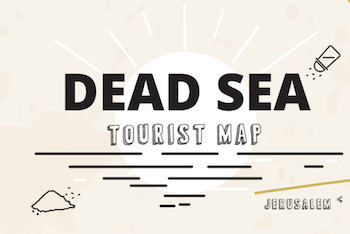 Here, you'll find information on the main events at the Dead Sea, so that you can plan your trip accordingly. The annual Date Festival will be held on Succot, September 9 – October 2, 2015. This unique, international and Israeli music festival is one of the most outstanding of Israeli music events. The EinGedi Race is an international race at the lowest place on earth, in memory of Giora and Tomer Ron. The2015 race was canceled due to poor weather conditions and a risk of flash floods in the valleys and Nahal David basin. A date for the 2016 race will be set in the coming weeks. The Israeli opera presents an enchanting work by Carl Orff in a spectacular production by hundreds of performing artists at the foot of Masada. A novel production of the fiery drama by Puccini, about a corrupt chief of police willing to do anything to win over Tosca. Puccini at his best in an enormous, spectacular production at Masada, directed by Daniel Or.